The Best Place To Buy Shoes Online?! Got a friend/girlfriend/mum/sister/gran who LOVES shoes? 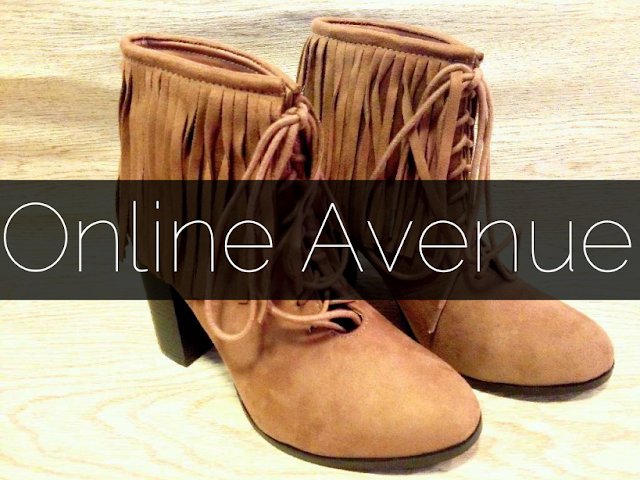 Online Avenue has got you covered this Christmas! This online footwear store stocks shoes for women, men and kids, but I'll be focusing on footwear for the females as this is more my forte! Thanks to EtailPR, I was sent a pair of shoes of my choice from Online Avenue's incredible range. I went for the Kylee Lace Up Tassel Ankle Boots in Mocha Suede which you can see on their website here. 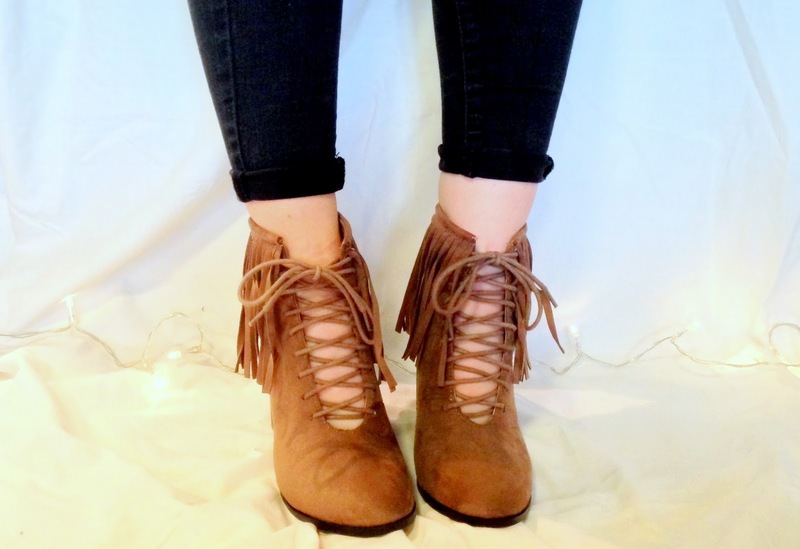 I don't own many heeled ankle boots and I loved the tassel and shoelace detailing of these. I thought they'd look great during the winter paired with some tights and a skirt or with skinny jeans to dress up a more casual outfit. 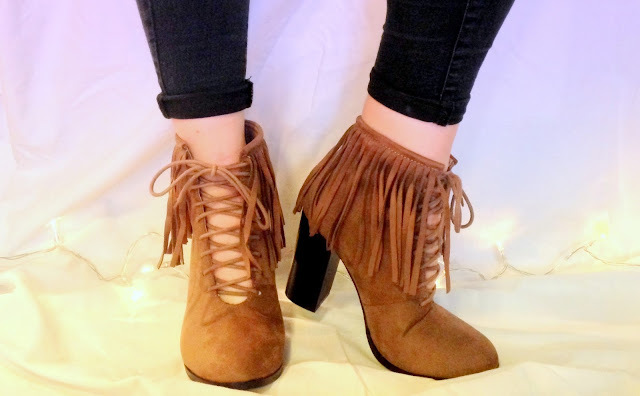 If you're a fan of the tassel detailing on these boots, I also love the Zelda Side Tassel Suedette Ankle Boot which I think is a slightly more subtle option and also comes in a wider range of colours. I often find it hard to find a pair of heels that I can spend more than an hour walking around in, but I found these boots really comfortable despite their height. In terms of quality, the boots feel robust and well-made, and the suede material is super soft! Whilst having a browse on their site, I was amazed at how well priced all their shoes are! My Kylee ankle boots retail at just £20.49 - such a bargain considering how on-trend they are and how good quality they feel. In fact, I noticed that the majority of the women's shoes retail for less than £30 - most of them being priced around £20 - which is superb value for money in my opinion. Being a student, I'm quite money-concious and I feel that these boots would make the perfect gift for someone (or as a little treat for yourself!) if you too are feeling slightly strapped for cash this Christmas. Moreover, you can get 20% off these boots (and so many more women's shoes!) with the code LAUNCH20. Be quick though, because this code expires on Friday 4th December 2015! I'm hoping to show off these boots in a full outfit post closer to Christmas so stay tuned for that. For now, happy shopping! These ones are so beaut!! I would've totally chosen the same ones, I always seem to go for black boots but brown ones are so necessary!